I love parties. I love books. I love babies. And I love anything old or vintage. 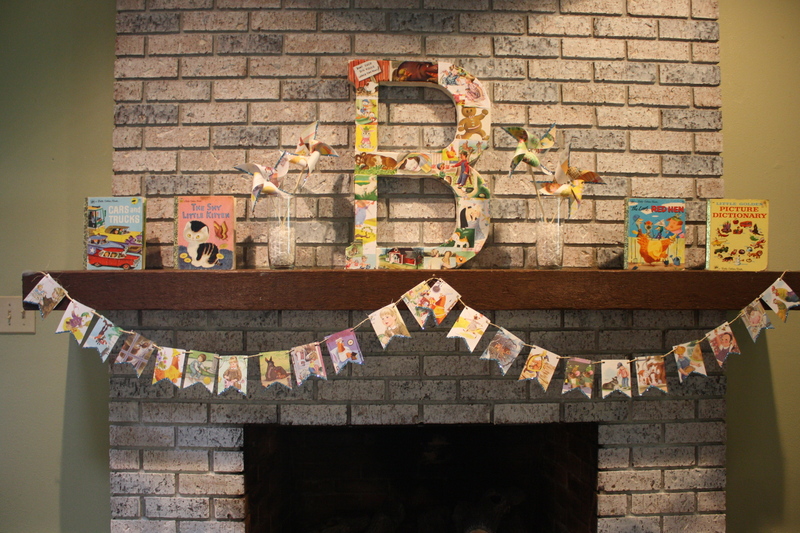 So when I saw a perfectly adorable Little Golden Book themed birthday party on this blog, I immediately loved the idea for my son’s first birthday party. I took the ideas from that blog and combined them with my own to put together what I repeatedly called The Cutest Party Ever. I’ve thrown some cute birthday parties in my day, but I really think this one was my very favorite. I pulled off all the Little Golden Books from our kids’ bookcases and also purchased some used ones at 2nd and Charles in Covington and off of eBay to use for crafts. 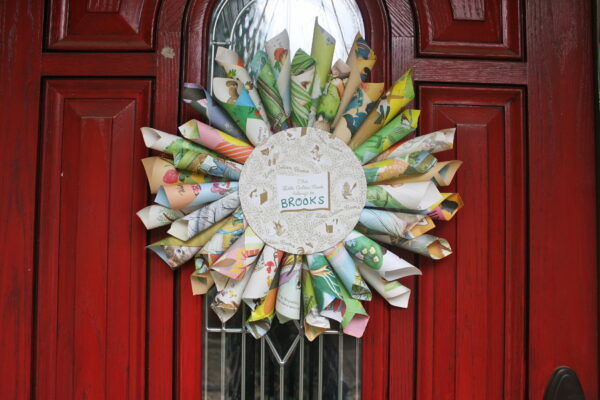 I made this wreath by tracing a circle onto a piece of cardboard and hot gluing paper cones around it. I just sort of eyeballed the whole thing, and I was so happy with the way it turned out. It took 4 or 5 books to complete, but I used the older more beat up books that I had on hand. 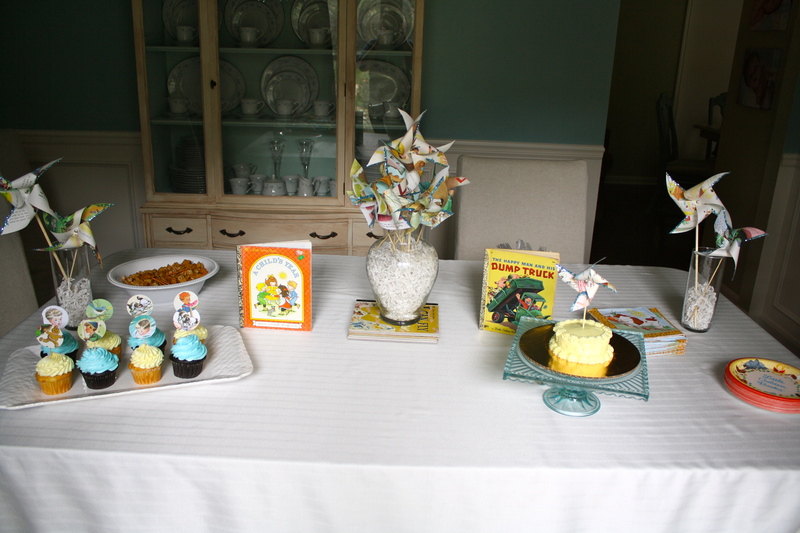 I really had to overcome some major book defacing guilt while putting this party together! Finally I cut a circle out of an inside cover and hot glued it on top of all my paper cones. I hot glued twine to the back of the wreath to hang. 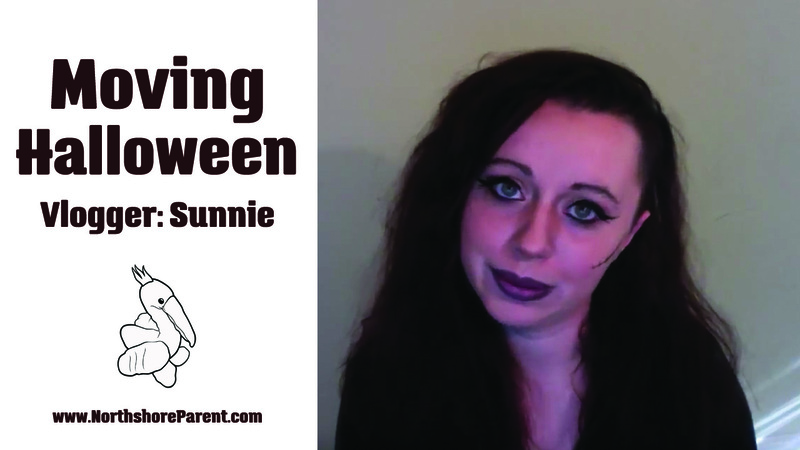 So, here’s the sad thing about this precious little birthday party. My baby caught a virus and was having respiratory problems, so the morning of the party we had to call all our friends and cancel. I was just a TAD depressed about this. 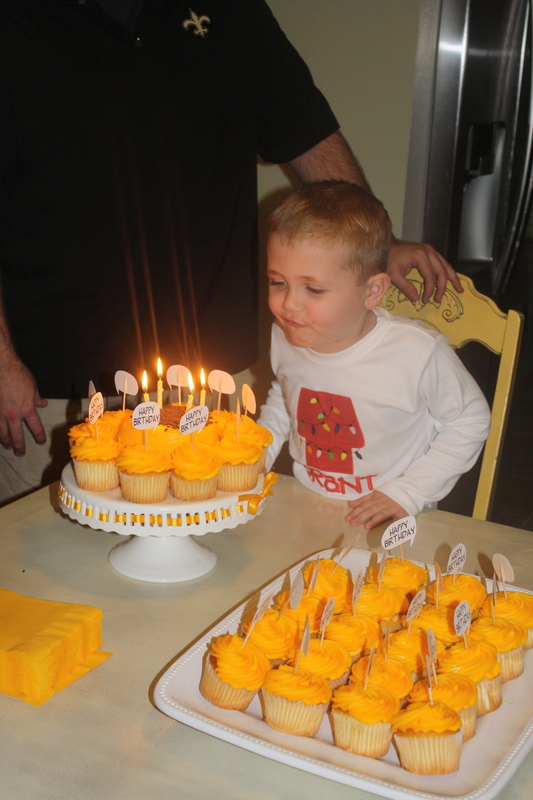 We did a majorly scaled down version of everything with our family that came in town, so we still got to celebrate our sweet boy’s birthday, even if he wasn’t feeling that good. I say all that because I had big plans for the menu! I was going to serve “old fashioned” party food: pimento cheese sandwiches, chicken salad sandwiches, pigs in a blanket, chex mix, and fruit and veggie trays. Instead I just put out the cake and chex mix. 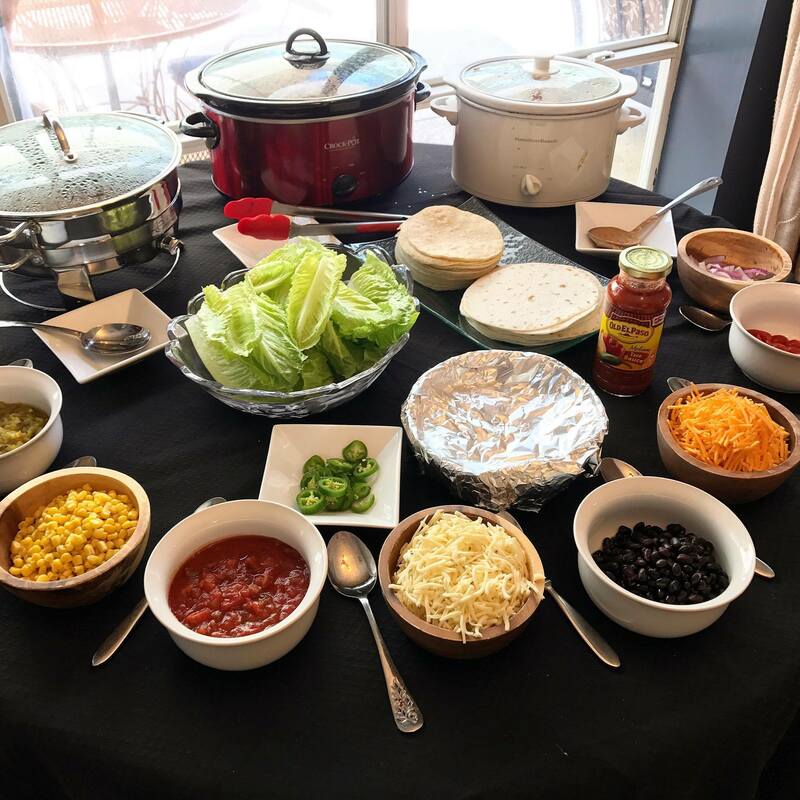 We lived on party food for days! I ordered the cupcakes and smash cake from Rouses. I made the cupcake toppers by punching out circles in the book illustrations and attaching them to toothpicks. I made lots and lots of pinwheels (another very easy craft), and displayed them all over the house. See those glass cylinder vases? I bought 12 of those at Dollar Tree about seven years ago. I use them for parties and holidays all the time! One of my best purchases. The plates and napkins came from Birthday Express. I purchased a large paper mache “B” from Joann’s and mod podged some of my favorite illustrations onto it for the mantle. After the party, I moved it into my son’s reading nook for display! I cut out a banner out of some old books and hung it up using twine. Finally, I added pinwheels and displayed some of our favorite books. 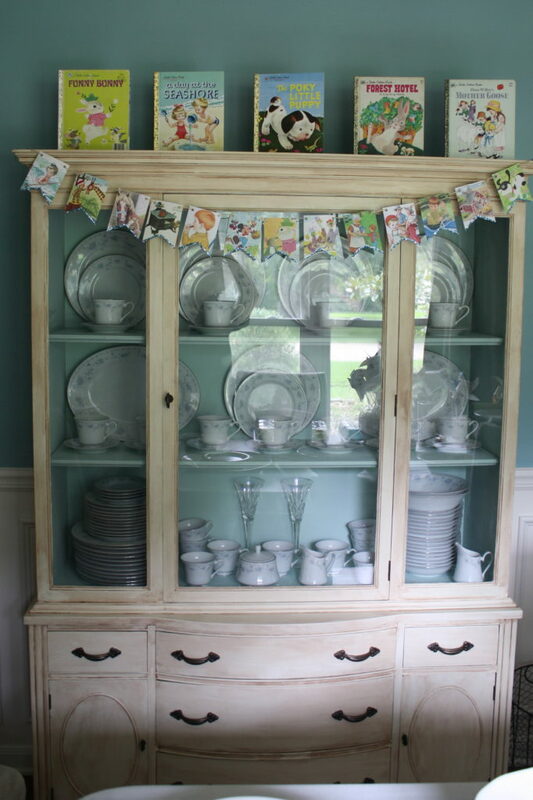 Another banner and more favorite titles in the dining room. 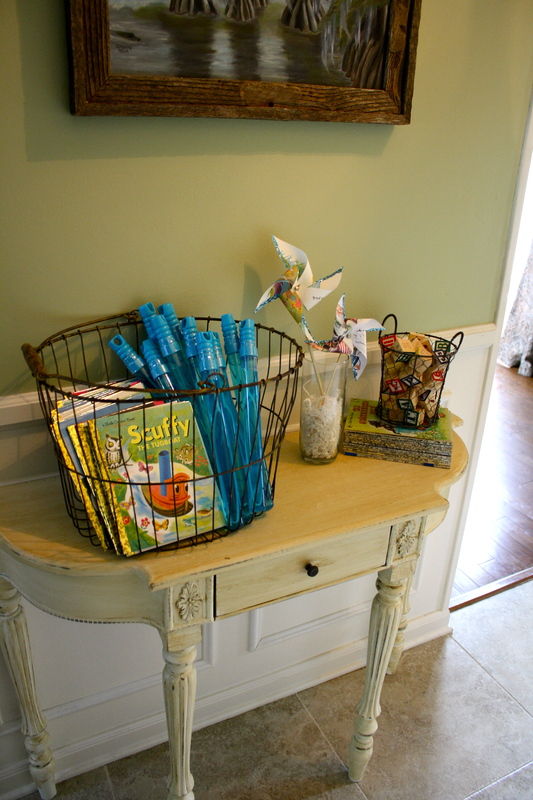 I set up favors on our entryway table. Each child was to get a book and some bubbles to take home. 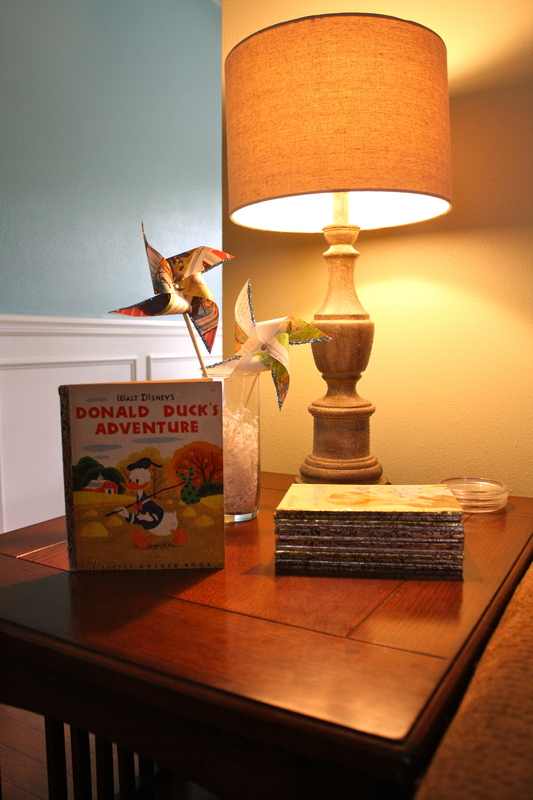 Since none of our little friends got to come over, we made sure to give out books the next time we saw them! And finally, the cutest detail of the party – the birthday boy! 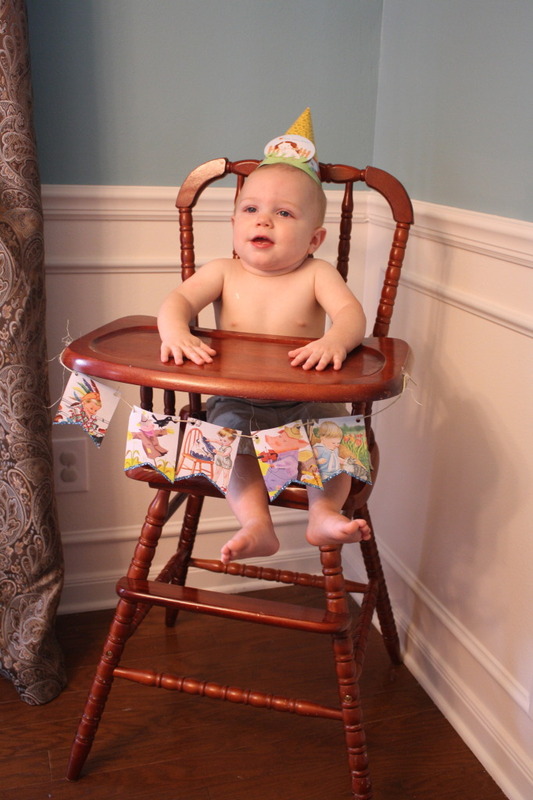 I borrowed this vintage type high chair from a good friend (our Fisher Price space saver didn’t exactly fit the theme) and added a banner. I made sure to strip him down before giving him his cake, but the poor thing didn’t even feel good enough to eat it. Even though the party didn’t go as planned, I’m glad I still took lots of pictures and chose to celebrate on a smaller scale. 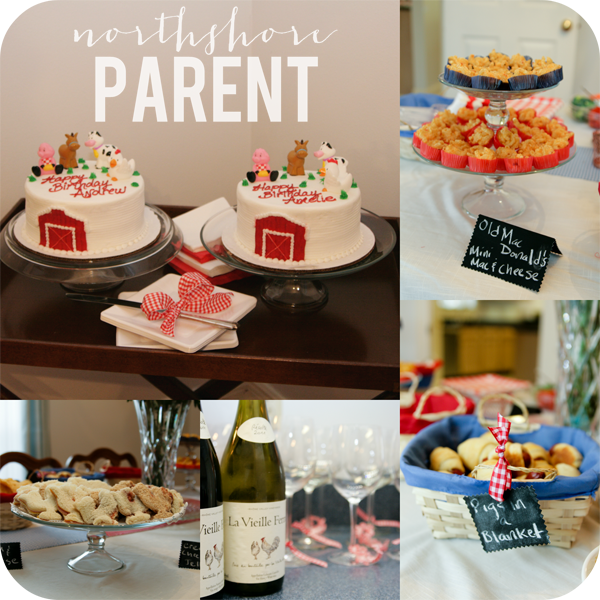 Whether you like throwing detailed and elaborate parties, ordering pizza and eating cake with grandparents, or something in between, there’s just not much sweeter than a first birthday. Looking for more amazing birthday information? We’ve got information on cake makers, party venues , entertainers, and TONS of inspiration if you still aren’t sure what you want to do! 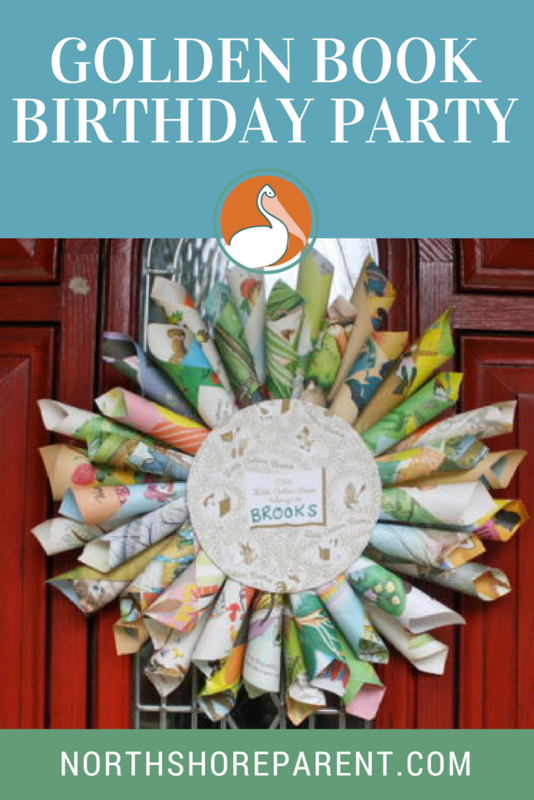 If you still have the banners, loose pages or pinwheels left over – I’d be interested in them for my twins upcoming 1st birthday party!